Infections borne by mosquitoes are nothing new, however a new virus has recently gained intense global attention because of its potential link to birth defects. 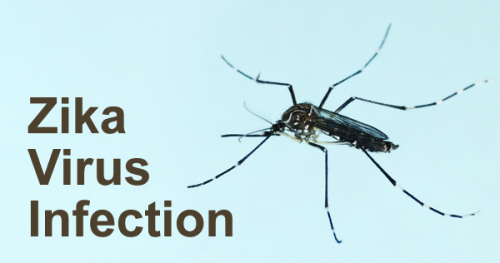 In the vast majority of cases, the Zika Virus is spread by the bite of infected female mosquitoes of the Aedes genus. The virus was first isolated in 1947, in the Zika forest located in Uganda. Before 2015, Zika virus outbreaks had been confirmed only in Africa, Asia, and the Pacific Islands. In May of 2015, Brazil reported an outbreak of the virus, and since then, the virus has rapidly spread across Central and South America. The virus has currently been identified in at least 33 countries, and the World Health Organization predicts that 3 to 4 million people will be infected by the virus over the next year. Four, out of five people, who contract the illness experience no overt symptoms, and never realize that they are carrying the virus. Those individuals who do become ill, generally have mild symptoms which may include headaches, conjunctivitis, joint and muscle pain, fever, and a skin rash. Symptoms appear, approximately 3 to 12 days, after being bitten by an infected mosquito, and normally subside within a week’s time. Few infected individuals need to go to the hospital, and death is extremely rare. What makes the Zika virus so frightening, however, is that after the huge Zika virus outbreak in Brazil in 2015, Brazilian mothers are giving birth to babies with microcephaly. Babies born with microcephaly may have smaller heads than normal because the brain is improperly developed or has stopped growing. The neurological disorder can cause significant developmental delays, impaired cognitive development, and in some cases, death. Brazil has confirmed 460 cases of microcephaly in newborns since November, and doctors have reported 4,000 suspected cases. The clusters of increased microcephaly cases appear to significantly overlap with parts of the country where the Zika virus is flourishing. The Center for Disease Control and Prevention (CDC) is also investigating a possible link between the Zika virus and increased occurrences of Guillain-Barre syndrome, a rare paralysis disorder. Protect your exposure by wearing long pants and shirts with long sleeves. Stay inside as much as possible, in areas that have air conditioning or screens that keep mosquitoes outside. Use mosquito bed nets when sleeping outside. Use insect repellents. Environmental Protection Agency (EPA) registered repellents are effective, and can safely be used by pregnant or breast-feeding women. Spray clothing and trappings with permethrin, a synthetic insecticide, or buy permethrin-treated gear. The CDC’s Travelers Health website posts Zika virus health notices for all countries impacted. The Zika virus is spread almost exclusively by mosquitoes, but recent research confirms that it can also be transmitted through sexual contact and blood transfusions. Men who have traveled to active Zika virus areas should wear protection consistently, or abstain from sexual activity, if they have a pregnant partner. It is not yet clear on how long the risk of transmission should be avoided. The available evidence indicates that, for the majority of people, the Zika Virus is a rather benign illness. The greatest risk involves women who are pregnant, or thinking of becoming pregnant. These women should take every available caution to avoid contracting this virus. Get our bi-weekly newsletter to your email!